It has been just over 2 years since PokemonGo got us all acquainted to the fascinating world of Augmented Reality. People rushing around New York Central Park to throw a pokeball and capture virtual pocket monster. Ever since the viral success of PokemonGo mobile games have been exploring the possibility of deploying augmented reality into their gameplay to replicate their viral success. Augmented reality essentially enables visualising real world attributes on a virtual platform in its physical form. The virtual product gets superimposed as a real time physical object through your camera application. As you pan the camera, you get a real time feel of the object moving and a 360 degree view of the object, through it. With both google and apple keen on catering AR applications, new AR core and AR kits have made it easier for developers to develop and make use cases of AR based application. As of now, AR applications are predominantly used on mobile games which capture the imagination of users and make them hooked on to the world of virtual reality. Apart from the games, some entertainment applications also use Augmented Reality, to have them ranked higher in the app store and get the download count ticking. While AR is still an evolving field on various fronts, there is still a huge untapped potential to make the most of augmented reality applications. This article briefly discusses the business scope of Augmented reality application and its benefits in various walks of life. With application of AR mainly restricted to social media filters and entertainment informatics, the practical advantages of AR is largely left untapped and is unexplored. The first use of AR in business cases comes in the form of eCommerce applications. 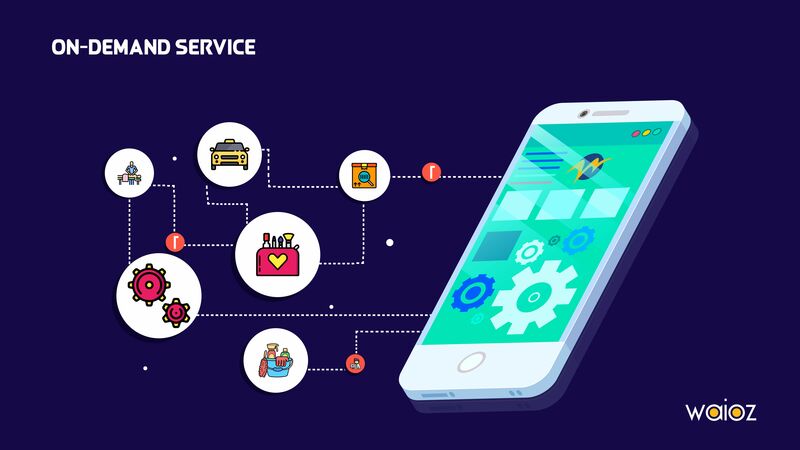 Having your e-commerce application supplemented with Augmented Reality application, makes the consumer perceive how a product would look in real time. Through your application’s camera view, you get to fit the object you buy, put up anywhere for a virtual try on. This provides a much more detail on the dimension and the fit of the product in your desired space. A recent study conducted by“Interactions” found that over 60 percent of the people would prefer AR supported online stores than the stores that don’t support AR, with over 40 percent even willing to shell out few extra bucks for the AR service. Stores have slowly realised the business opportunity here and have started capitalising on AR supported eCommerce web stores. With majority of the NBA franchises taking their newsletters and Apps with AR support to improve fan interaction with the players and have video summery instead of a bland image and text report of the matches. Augmented Reality has also enabled fans get the experience of watching the games in a stadium view, through the application. This doesn’t just restrict the the broadcasting angle with respect to the seats that a user gets to choose, but also based on the stands chosen, the crowd noise and fan chants also are levelled to give you a full live stadium feel. Augmented reality has effectively reduced the need to products and items build on 3D prototypes and other real models. The need to have a physical model to allow users experience the design of new product launch is nullified with AR applications. McLaren released an application in 2013 before the launch of its high profile car, the P1. It allows users to capture a scaled replica of the super car and also the aerodynamic flow property of the car when projected over a sheet. This has now extended in various designing fields such as constructions, jewel designs, aircraft modelling etc. With much business avenues to explore with Augmented Reality, there is a huge market demand for quality AR app developers. 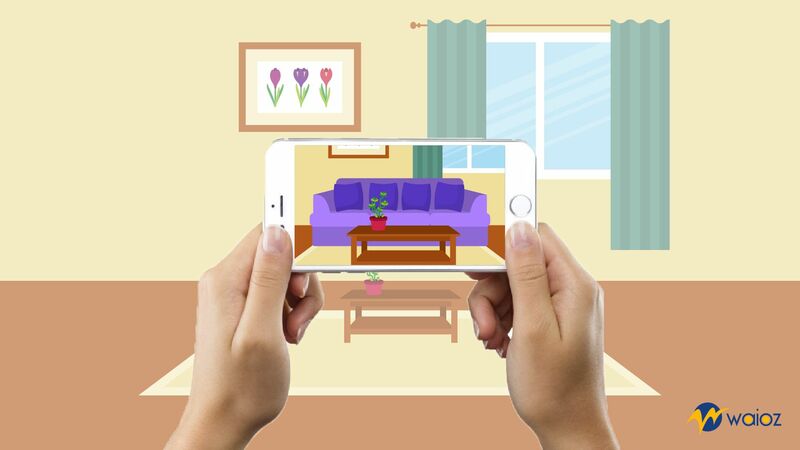 WAIOZ expertises in building AR applications with a keen business model in mind. Fell free to contact us for information on how to enhance your sales and increase your business output with AR applications.